In the summer of 2009, when my running was at its best, it was a huge thing to be able to run to the beach and back. That felt like such an accomplishment and I was so proud of myself. Before today, I hadn’t gone to the beach by foot for 18 months. 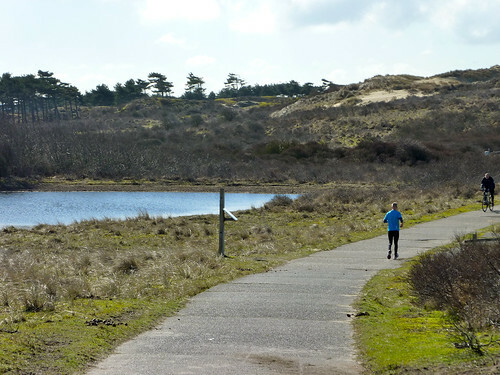 Today DB and I started running at the edge of the dunes, at the entrance of the Kennemer National Park, near the hockey and football fields between Bloemendaal and Sandpoort Zuid. 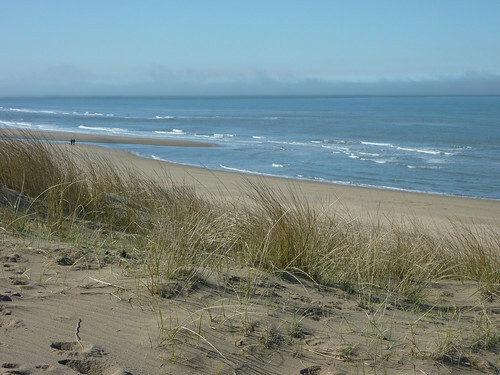 We ran through the dunes all the way to Parnasia and the beach. The above photo is the proof. Now, I will not kid you into thinking I ran the entire 14km. I didn’t. I ran about 10km and walked the rest. That’s ok by me. I was moving for 14km. I wasn’t at my best. 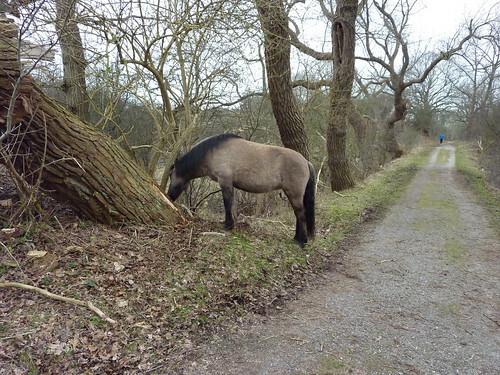 The legs felt good and the weather was GLORIOUS – sunny and bright with no wind at all. But I spent half of yesterday in bed with (yet another) migraine and felt worn out and low on energy. But in any case, it felt so good to be outside in the Spring weather and to feel the sun on my face. Here is another photo of the day (DB running ahead of me) and a photo from last Sunday’s morning run (the wild horse). Next Sunday is the race at Zandvoort. Am I ready to run 12km non-stop? I’ll be ok. The crowd will carry me through.